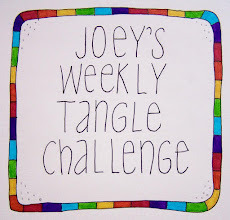 When the kids came home from Art Camp last week with their wire and bead wrapped crafts I knew it was something that I had to try! 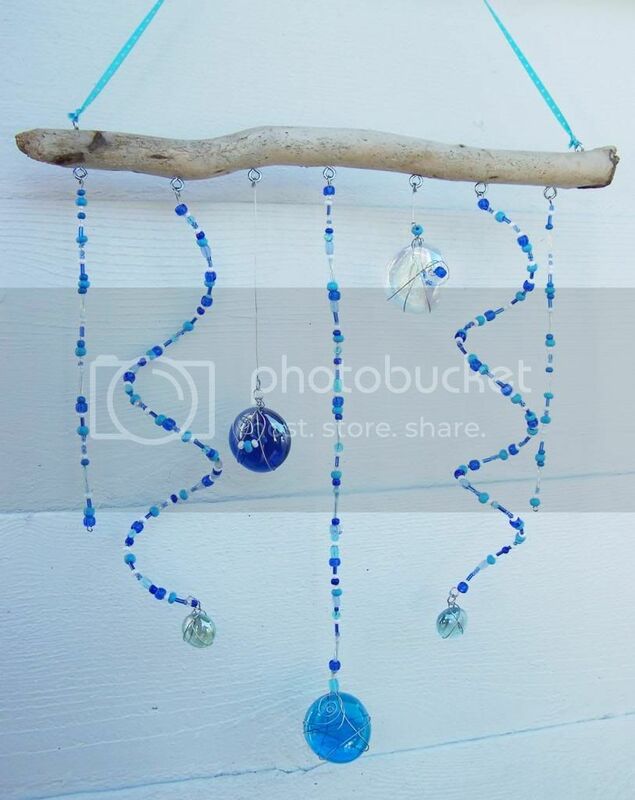 I have a large collection of beads that I need to use up, so this bead mobile was the perfect project! 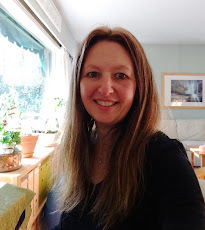 Now I will remind you that I have never done this before so I don't have any fancy techniques to show you (I'm sure that there are You Tube videos out there somewhere?!) 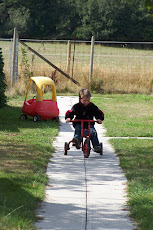 but if you are like me and tend to jump into a project and learn as you go, then read on! 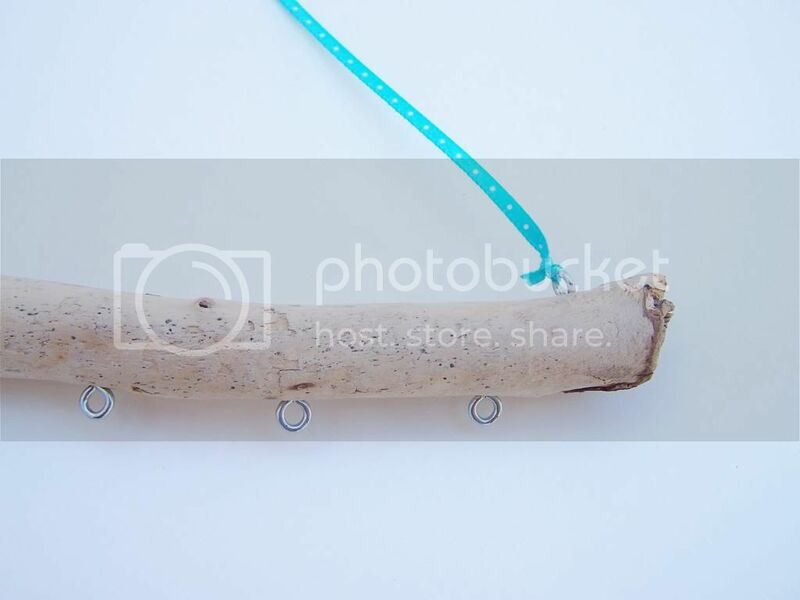 First attach the screw eyes to the driftwood, two on the top for the ribbon and 7 to hang beaded wires from. 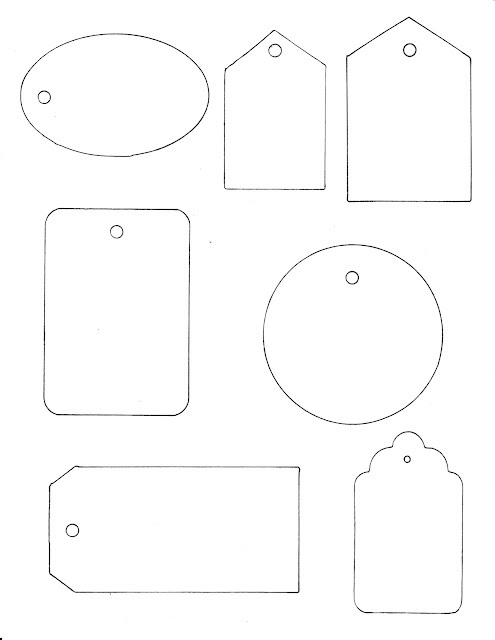 An odd number is recommended so that your mobile hangs evenly. Here is a close up of the screw eyes and the ribbon attached. 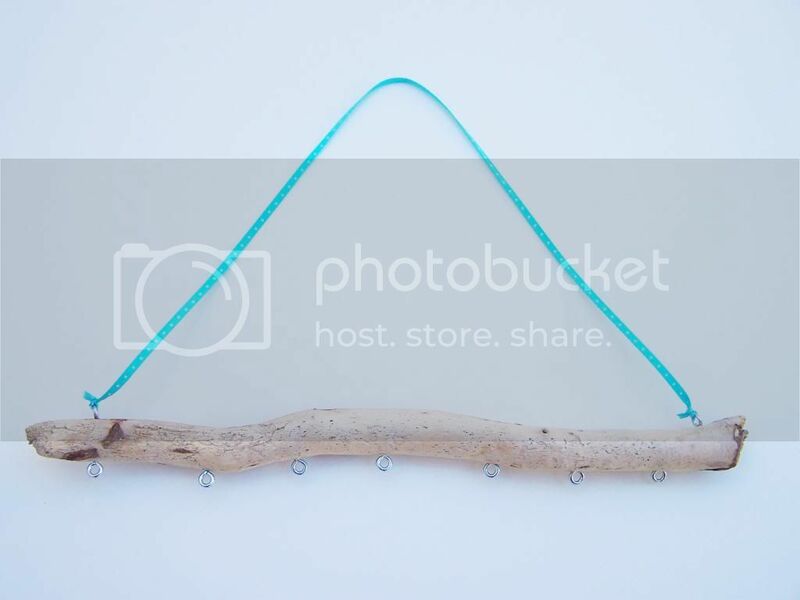 Measure how long you want your centre wire to be and add at least 6" for wrapping the ends of the wire. 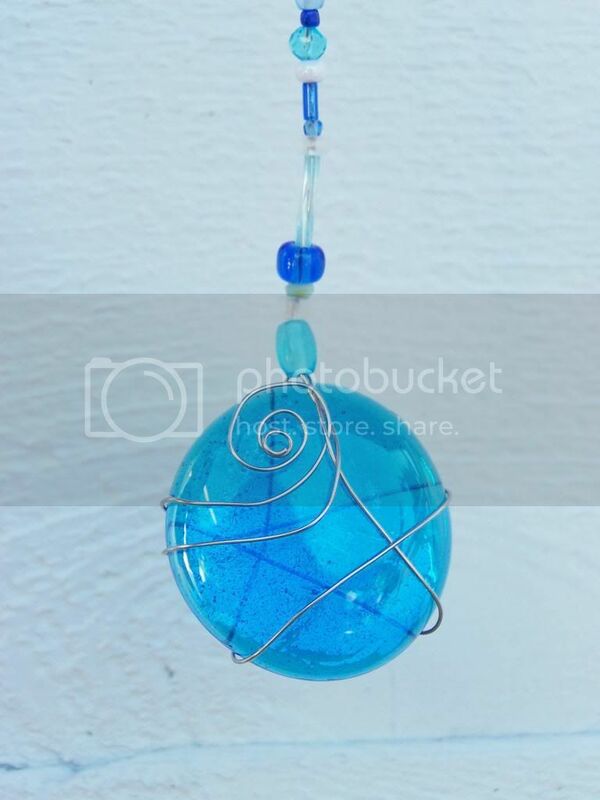 To make a wire with a large glass pebble on the end, wrap one end of the wire around the pebble a few times until it is secure. Curl the wire with the round nosed pliers to finish the end nicely. 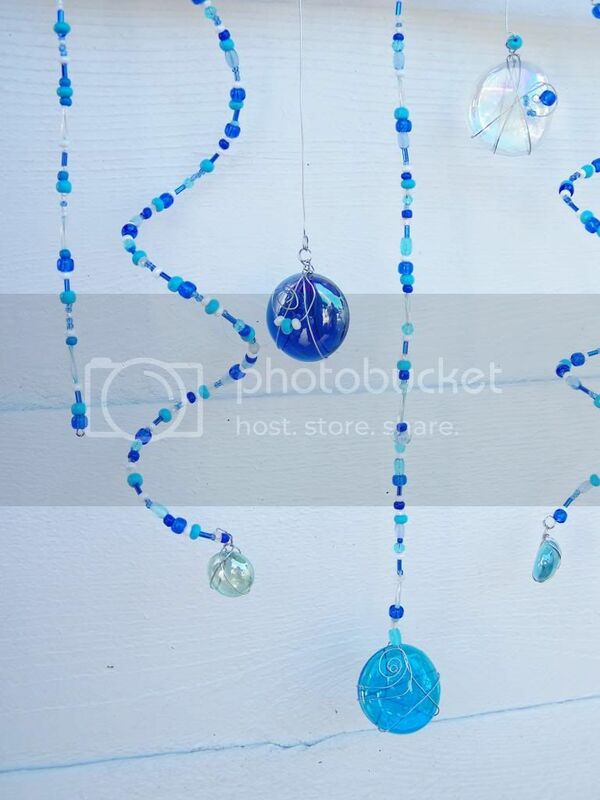 String the beads up the remaining wire in a random pattern to about 2" from the end of the wire. Curl the wire around the round nosed pliers several times to form a loop. 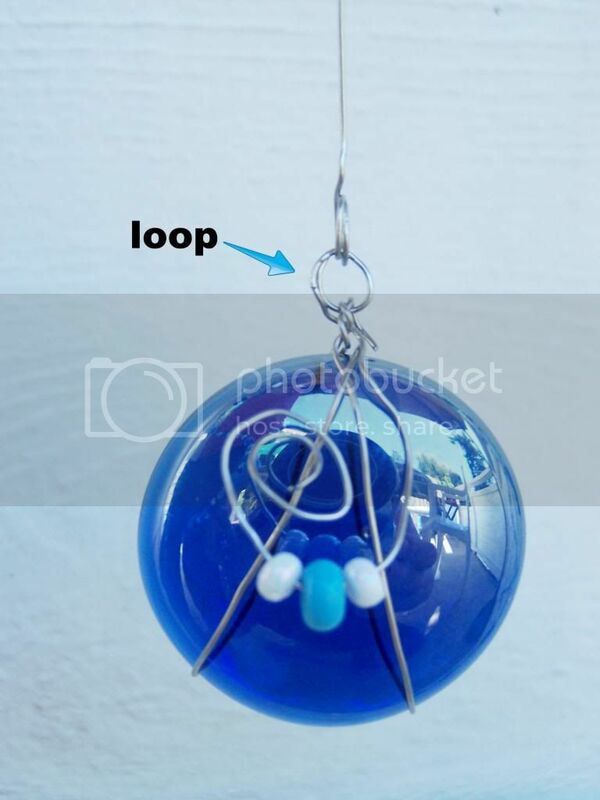 You can also add beads to the wire before you curl the end like I did above. 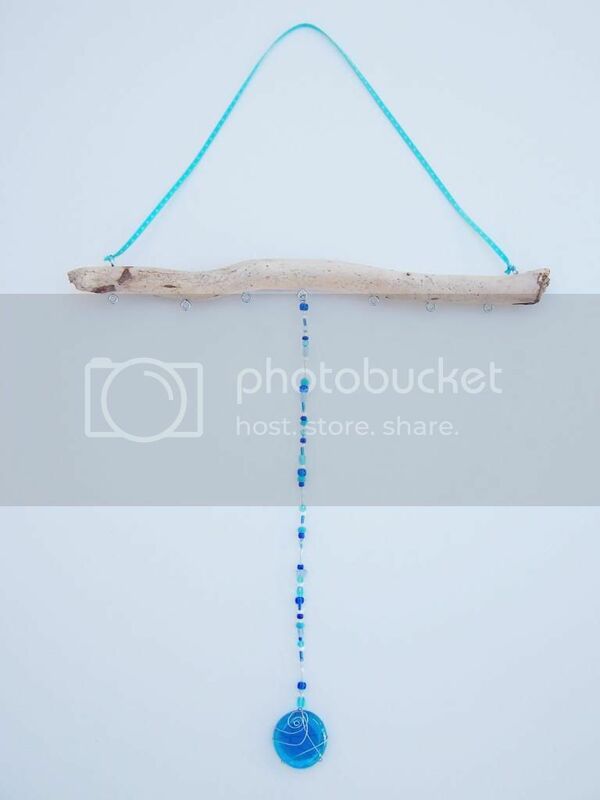 To make it interesting I cut the wires various lengths and made some with and without beads strung up the wire. Play around with what looks nice, there is no right or wrong here! 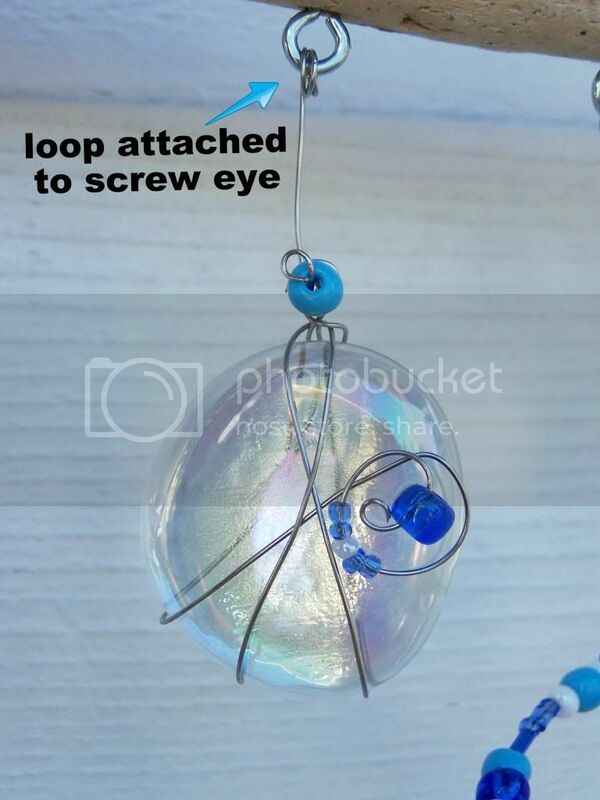 Attach the beaded wire by opening the screw eye slightly with your pliers and hook the top loop on the wire to the screw eye. Bend the screw eye closed. When I unraveled the wire from the spool it wanted to stay curled so I let two wires spiral. 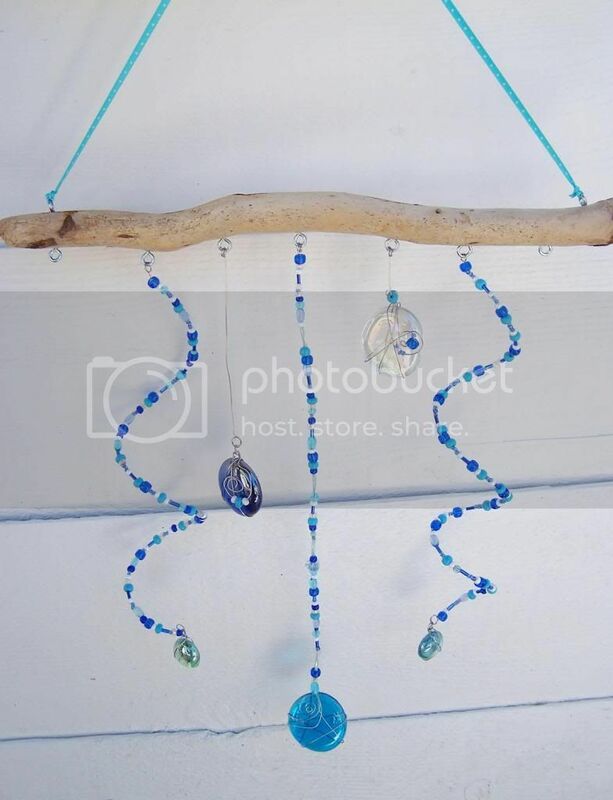 I think these mobiles look nice hanging in the garden or in a window. 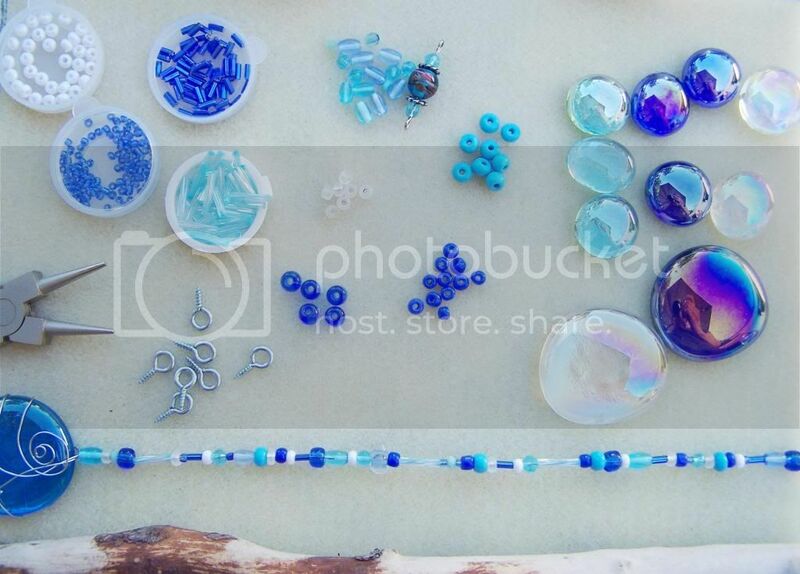 Note: to make this project with children I would suggest using larger beads (or you could use shells, beach glass, slices of tree branch, pine cones, acorns, whatever you have in your stash) and keep the mobile to 3-5 wires if their attention starts to wander during the process. I'd love to see your mobile if you try this or if you have made one before. Your mobile is beautiful. Thank you for such simple clear instructions. This looks great! Certainly on my list of things to do with the kids! I love this! I am sure it would look wonderful in the window with the sun sparkling through.